He's the indisputable leader of the gang! 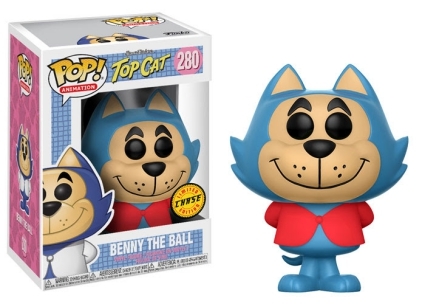 Funko Pop Top Cat celebrates the 1960s cartoon in style with vinyl figures for T.C. (Top Cat) and Benny the Ball. Although the animated series aired for just one season, Hanna-Barbera's Top Cat still has relevance to many fans and collectors, especially on the international scene. 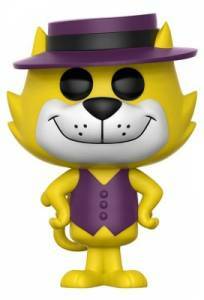 The yellow feline is featured with a dark purple vest and a corresponding pork pie hat, giving T.C. a jazz/mobster appearance. His go-to-man, or cat rather, Benny the Ball wears a white, single-button vest with his hands behind his back. 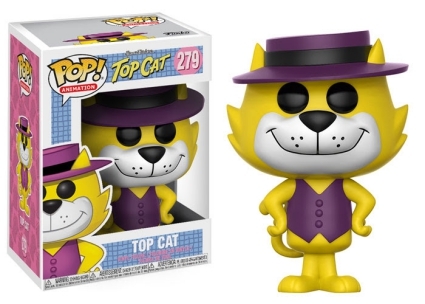 Order Pop Top Cat Figures on Entertainment Earth. Apart from their main options, each Funko Pop Top Cat figure also has a limited chase that averages 1:6 boxes. 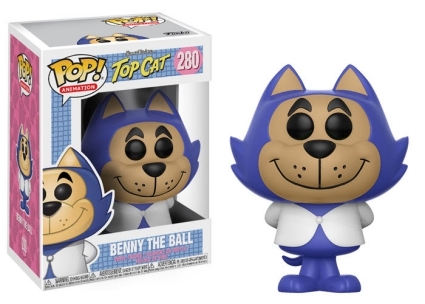 Instead of wearing purple, Top Cat's variant has bright pink attire, while the blue Benny the Ball figure comes in a red/orange vest. Despite an abundance of Pop! 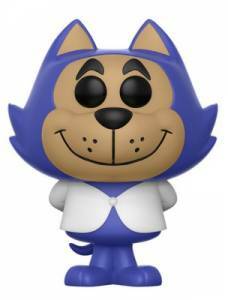 Hanna-Barbera figures, there is not a standalone lineup, and each Funko Pop Top Cat figure is numbered as part of the larger Pop! Animation set.